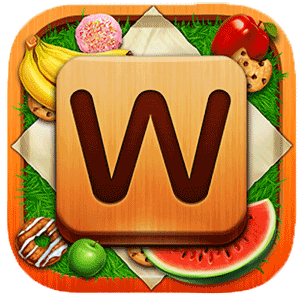 Word Snack is a small little mobile game that requires you to solve a wide range of word puzzles in order to reach a new level. What you will like about Word Snack is that this is the perfect game for you to test your skills at. Not only are there hundreds of hidden words for you to explore, but completing the puzzles is totally amazing and interesting. The overall quality you receive from Word Snack is very interesting. The interface and visuals as a whole are distinct and unique, so they do manage to make the gameplay more engaging to begin with. People like Word Snack mostly because this is a lot of fun to play, but at the same time there are numerous different words that you can explore and enjoy regardless of the situation. The primary focus of Word Snack is to test and also to improve your vocabulary. Doing something like this is definitely easy at first, but the more you spend your time with the game, the better you will be at this kind of experience. Unlike other similar games, you will note that Word Snack does come with its own set of unique challenges. You have unique and different words each time. At first, they are rather simple, but the words do tend to get pretty complex and it will take a lot of time for you to find them all. The great thing here is that there is no time limit. So, you can try and figure out all these words on your own, which in the end can easily take things to the next level. It will be a delightful way to play the game. Also, it’s interesting to see that Word Snack doesn’t need a constant internet connection. Lots of word games do, and that can break the attention for a lot of people. But as a whole, Word Snack manages to bring in front a really good set of solutions. The thing to keep in mind about Word Snack is the fact that this is a rather inquisitive and delightful game to play. But some of the levels seem rather impossible to beat. This is why we recommend you to play the game right now and whenever you need any solutions to the puzzles, come to our site. We have all the answers you need in regards to Word Snack puzzles. Just consider giving this a shot and you will definitely be very impressed with the experience as a whole. Check it out and you will be incredibly happy with the way things pay off. Plus, Word Snack is all about testing your knowledge and learning something new!